Oil and Gas Law Category Archives — Page 2 of 19 — Texas Oil and Gas Attorney Blog Published by Texas Oil and Gas Lawyer — Aimee Hess P.C. When preparing and executing any type of contract, it is important to be clear on all important terms in the contract. Ambiguities lead to uncertainty, and uncertainty can turn into disputes down the road. Even so, there are times when an oil company has been known to claim an ambiguity, and create a dispute, where none exists. Recently the Texas Supreme Court considered such a case and had occasion to emphasize that interpretation of contract language should always be reasonable. When the plain language of the contract expressly excludes a portion of land, then that portion of land is not subject to the contract. In North Shore Energy v. John James Harkins, et al., the Court applied this principle to a gas option contract. In North Shore, the Harkins family signed an option contract with North Shore Energy. A lease was attached to the contract. North Shore got to choose from among several tracts within a designated tract of land in Goliad County, Texas. The contract had an exhibit that described the land subject to the option as being the land identified in an earlier lease. The land in the earlier lease did not exclude what the parties called the 400.15 acre Hamman lease land. However, the option itself specifically excluded the Hamman lease land. When North Shore Energy sought to exercise its option contract, it chose a 169.9 acre tract on which to drill. The tract selected by North Shore Energy contained a large portion of the Hamman lease land. 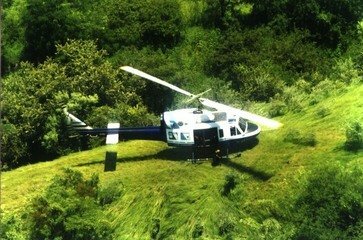 A third party, Dynamic Productions Inc., approached the Harkins and requested to lease the Hamman lease land, which included a North Shore Energy well that had been drilled into that Hamman lease land, and the Harkins family obliged and executed a lease for the 400 acre Hamman lease land to Dynamic. In 1924, Cora McCrabb (along with two co-owners) owned 1,448.50 acres of farm and pasture land. In that same year, Cora executed her Last Will and Testament, bequeathing all of her “farm lands and pasture lands” equally to her three grandchildren, Jessie, J.F., and Mary Lee McCrabb. Cora gave the residue of her estate to only one of the grandchildren, Jessie. In 1927, Cora and her co-owners sold the 1,448.50 acres of “farm lands and pasture lands” in fee simple to J. L. Dubose. Dubose simultaneously conveyed to Cora and her co-owners an undivided one-half interest in the oil, gas, and minerals in and under the 1,448.50 acres of farm lands and pasture lands. Cora did not change her Last Will and Testament. Cora died in 1929. Many years later, in 2013, the heirs of J.F. and Mary McCrabb filed a petition for a declaration that Cora’s share of the undivided mineral interest under the “farm lands and pasture lands” passed equally to all three grandchildren. The heirs of Jessie McCrabb filed a counterclaim asking for a declaration that Cora’s entire mineral interest passed to Jessie McCrabb alone pursuant to the residuary clause in the 1924 Last Will and Testament. The trial court sided with the heirs of Jesse McCrabb. When an oil and gas well is no longer producing (or if it needs major repairs but the production is not sufficient to justify the cost of repairs), Texas Railroad Commission rules require that the well must be plugged. The plugging procedure (which you can read about here) involves cementing the wellbore and is designed to be permanent. The plugging is designed specifically to protect against leaks into aquifers. Unfortunately, occasionally a production or waste water well gets plugged improperly or negligently, and salt water from these wells leaks out over time and on to the adjacent property, resulting in very unhappy property owners. Salt water leakage can cause damage to the surface of the property, such as contaminating the land so that crops can no longer be grown, or can seep through the ground to contaminate aquifers beneath the surface. Of course, plugged wells should not leak, and if they do, the property owner may have an actionable claim against the company that plugged the well. The case of Ranchero Esperanza, Ltd. v. Marathon Oil Co. addressed a number of issues that arise in this kind of case. Some of these issues, such as standing (i.e., the right to sue), the statute of limitations, the applicability of the discovery rule and when a cause of action accrues, were addressed by the Texas Eighth Court of Appeals in El Paso in the Ranchero Esperanza case. In connection with standing, the Court repeated the well-known legal precept that a cause of action for injury to land is a personal right belonging to the person owning the property at the time of the injury. A subsequent owner can’t recover for an injury committed before their ownership unless they received an express assignment of the cause of action from the former owner. In this case, the injury did not occur until saltwater was released from the plugged well onto the surface of the property in July 2008. Since Ranchero Esperanza was the owner of the property at that time, it had standing. When a mineral estate and a surface estate co-exist, there is sometimes conflict. Under Texas law, the owner of the mineral estate is considered to be the “dominant” estate over the surface estate because the mineral owner has the right to use as much of the surface “as is reasonably necessary to produce and remove the minerals” whether the surface owner consents or not. What is “reasonably necessary” has led the Texas courts to develop what is known as the “Accommodation Doctrine.” Often, the mineral estate wins when the rights are weighed under the Accommodation Doctrine, but not always. In the recent case of Virtex Operating Co. v. Bauerle in the San Antonio Court of Appeals, the owner of the surface estate prevailed. The case involved application of the accommodation doctrine to the Todos Santos Ranch in Dilley, Texas. The Todos Santos Ranch covers approximately 8,500 acres in Frio and Zavala Counties. The surface estate is owned by Robert and Cynthia Bauerle. The mineral estate is owned by ExxonMobil which executed an oil and gas lease with VirTex. Pursuant to the lease, VirTex drilled various wells and now has nine oil-producing wells on the Ranch. There are plans to expand the drilling to 45 wells. About 99.9% of the companies who claim to buy mineral interests are scams. What often happens is that they send you a solicitation letter which makes an incredibly high monetary offer for your mineral interests. They ask you to sign a deed, which is either enclosed with the letter or that they send you if you contact them, and request that you send the signed and notarized deed back to them. They then file the deed in the deed records. Then, they contact you and say there were certain ambiguous “problems” with your title to your minerals, or the market for mineral interests has changed, or some other nonsense. They then tell you they will pay you, not what they offered in the letter, but a tiny fraction of what they offered. If you don’t take it, you are stuck with the deed filed in the deed records that shows you sold your mineral interest to them. In many cases, I’ve had clients have to sue the company to force them to cancel the deed. Even if the company cannot be found or has gone out of business, you will still probably have to file a lawsuit to get a court order cancelling the filed deed. Given the expense of litigation, this can be a huge burden. One way to tell if a company is a legitimate concern or not is to tell them that you might be interested in selling your minerals but your requirements are: 1) they need to send you a written contract of sale with a specific price and an earnest money deposit; 2) the deed will be prepared by your attorney; 3) the transaction will be closed in a title company or through your attorney; and 4) they will be required to deposit the balance of the purchase price in good funds with the title company before they receive the deed. Most of these companies will tell you that is an unnecessary expense, or “they don’t do it that way”. This is a huge red flag. However, in my experience, even some of the scam artists will agree to this, but once you have paid your attorney to draft the deed and it’s time for them to put the purchase price in escrow, they will disappear or pull out.